Who needs White Castle when you have WaffleBot? Every day, Watch This offers staff recommendations inspired by a new movie coming out that week. This week: With Anchorman 2: The Legend Continues on the horizon, we look back on that rarest of rare commodities: the excellent comedy sequel. When Harold Lee (John Cho) and Kumar Patel (Kal Penn) first appeared in Harold & Kumar Go To White Castle, they were two thoroughly engaging characters stuck in a relentlessly juvenile vehicle, the nadir of which was a scene where they’re trapped in a ladies’ room with two coeds playing “Battleshits.” The sequel, Harold & Kumar Escape From Guantanamo Bay, was no improvement—again, Harold and Kumar themselves were a pleasure to hang out with, but the material surrounding them was now so pointed that it pushed past comedy and became an active lecture about post-racial America. Furthermore, while the two films had different directors (Danny Leiner for White Castle, Jon Hurwitz and Hayden Schlossberg for Guantanamo Bay), neither one took the slightest advantage of the medium, simply pointing the camera at the actors and letting it run. The prospect of A Very Harold & Kumar 3D Christmas was hardly appetizing. Right from the jump, however, the franchise’s third installment makes a quantum leap in both visual and comedic inventiveness. For one thing, it makes relentless fun of 3-D, a running gag that arguably works even better if you’re watching the movie at home in 2-D. For another, director Todd Strauss-Schulson demonstrates more formal panache in any random 30 seconds than the previous films do in their entirety, from a musical Claymation interlude to lightning-quick flashbacks that demonstrate how gross-out humor should be done. (Get ready to duck Danny Trejo’s overly excited reaction to a Christmas tree.) And the film’s general sensibility is radically different: a freewheeling, anything-goes surrealism more reminiscent of Community than of Cheech & Chong. 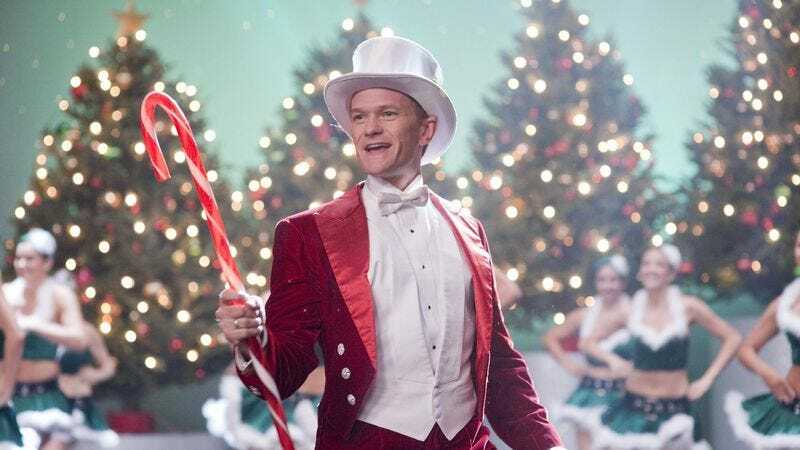 It’s always nice to see Neil Patrick Harris spoofing his public image, which he does even more aggressively here than in the first two films, but it’s also nice to laugh during the long stretches when he isn’t onscreen at a commercial for a waffle-making robot called WaffleBot. Because the plot for 3D Christmas pivots on Harold and Kumar no longer being friends, their easy rapport is mostly missing; if a fourth film adds that chemistry to this tone, look out. Availability: A Very Harold & Kumar 3D Christmas is available on Blu-ray and DVD, to rent or purchase from several of the digital services, and through Netflix’s disc delivery service.